Emmanuel Macron is fighting for French workers, said Marie-Alix Maes in La Croix (France). 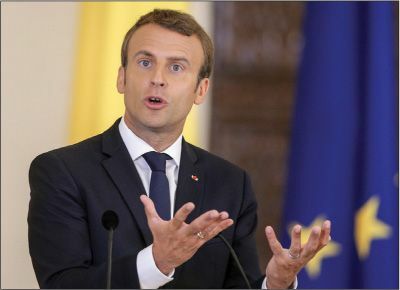 On a trip through central and eastern Europe last week, the French president met with regional leaders and tried to secure their support to change the European Union’s Posted Workers Directive. Under that 1996 rule, companies can hire workers in one EU country and “post” them to another one without obeying all the local employment regulations. A French firm that hires a Polish construction worker for a project in Paris, for example, must pay him the French minimum wage but can pay his benefits and taxes back in Poland. That makes it cheaper to hire a Polish worker than a French one, because taxes and welfare contributions are higher in France. Poorer EU countries like Poland and Hungary see the rule as the very underpinning of the EU’s guarantee of free movement of labor. But richer countries such as Austria, Germany, and France condemn it as “social dumping.” To curb the practice, Macron wants the contracts of posted workers to be limited to one year and for them to paid the same rate in total as local workers. Macron sees this issue as crucial to French domestic politics, said Le Monde (France) in an editorial. In his view, cheap EU labor “has fueled the rise of populism and Euroskepticism in France.” Macron defeated his nationalist rival Marine Le Pen in May’s presidential election in part because he vowed to reform the EU. Four months later, more than half of voters say they’re disappointed with Macron; he’ll only survive if he can start delivering on his promises. Macron is already having some success: On his trip, he rallied both the Czech Republic and Slovakia to the French position. Clearly, the trip was intended “as a slap to Poland,” said Jacek Pawlicki in Newsweek Polska (Poland). We are the largest source of posted workers—up to 400,000 Poles head abroad every year—yet Macron boycotted our leaders. Instead, he went to Austria, the Czech Republic, Slovakia, and Romania, in a bid to “make it all but impossible for Poland to form any coalition against a rule change.” Then again, perhaps Macron needn’t have bothered. We’ve become isolated in the EU since the right-wing Law and Justice party came to power in 2015 and began refusing refugees and demanding World War II reparations from Germany. Our closest allies—the Czechs, Slovaks, and Slovenes—are edging away. Poland is likely to lose on Macron’s pet issue.